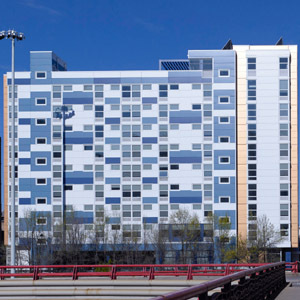 Located in the vibrant West Loop neighborhood of Chicago, this 9-story, 61 unit development provides modern studio apartments in a neighborhood of opportunity. A mix of formerly homeless individuals, persons with disabilities, and low-income workers coexist in a neighborhood rich in jobs and public transportation. Certified under the Enterprise Green Communities Program, this development includes a green roof and a solar hot water system.